Before :- Kanwaljit Singh Ahluwalia, J. Civil Revision No. 2058 of 2010. D/d. 26.07.2010. For the Petitioner :- Mr. Sanjay Jain, Advocate. For the Respondents :- Mr. Kanwaljit Singh, Senior Advocate with Ms. Sukhwinder Kaur, Advocate. Kanwaljit Singh Ahluwalia, J. (Oral) - Petitioner - Trust filed a petition for eviction of the tenant. On the request of the petitioner, a Local Commissioner was appointed to submit the report. Thereafter, on 7.12.2009 an application was filed by the petitioner - landlord that a permission be granted qua Sh. Anil Malik, an expert witness to examine the premises and prepare a site plan and to report regarding the unauthorized construction in the premises in question by the tenant. This application was rejected on the ground that earlier also Pankaj Kumar, Advocate was appointed as Local Commissioner and he had inspected the premises and prepared the site plan. The Rent Controller dismissed this application vide impugned order dated 9.03.2010 on the ground that earlier petitioner - landlord had availed four effective opportunities and the site plan (Annexures P-7 & P-8) are also on record along with report of the Local Commissioner Annexure P-6. 2. I have heard counsel for the parties. Report of the Local Commissioner always give the visual observation regarding the existence or non-existence of unauthorized construction. As and when unauthorized construction was carried, what is its age, whether it is permanent structure or temporary these are the things within the domain of an expert witness. Therefore it requires an expert witness to carry on inspection. To oppose this request, Mr. Kanwaljit Singh, Senior Advocate has relied upon Prem Singh v. Sohan Singh, 2006(4) RCR (Civil) 292 to contend that no second expert is to be appointed on the request of the same party. 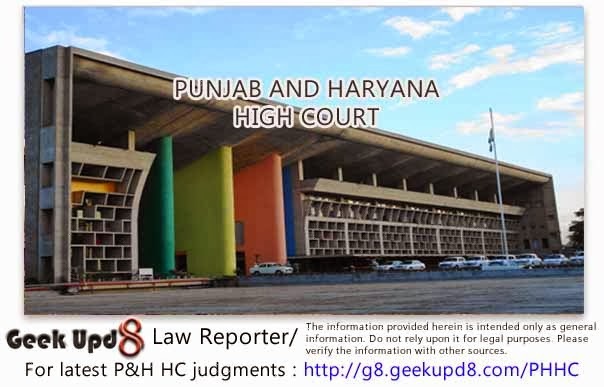 There is no quarrel with the proposition propounded in Prem Singh's case (supra) but the local commissioner and expert are to be examined for two different purposes. Therefore, Local Commissioner cannot be treated an expert regarding the various issues, as to the age of the building, quality of the building and material used. Therefore, the judgment cited is not applicable on the facts of the case. Further, reliance has been placed upon Pritam Singh and another v. Sunder Lal and others, 1991(1) R.R.R. 356 : 1990(2) PLR 191 to say, that whether the Local Commissioner is to be appointed or not, is a sole prerogative of the Court and the revisional Court ought not to cause interference. This judgment is also not attracted on the facts of the case as the present petitioner is bound to suffer later for non-examination of the expert. Substantial justice on the facts and circumstances of the case justify examination of the expert. Hence in view of the observations made above, present revision petition is accepted. Application filed by the petitioner on 7.12.2009 for inspection of the premises by an expert is allowed.